We have filmed a Q&A session with our CEO today. We will translate it soon and post on our YouTube channel. Exchanges set their requirements to do such sessions regularly. Thus our next AMA session will be run live. GoldMint personal cabinet is finally all tested and launched. We invite everyone to buy and sell GOLD coins through our website. The next step planned is an opportunity to get GOLD coins via our Estonian licensed fiat-crypto exchange through your own banking account. Please stay tuned and share your experience in our social channels. We finally have attached credit card billing system to your website personal account. Now you are able to buy GOLD with more opportunities. Stay tuned and be the first to know about more news! GoldMint Q&A session. July 2018. GoldMint CEO Dmitri Plushevskiy is answering questions from our community. We invite everyone to take a part in Mint blockchain testnet. great to hear team, was looking forward for this and wham!! you guys deliver as expected. 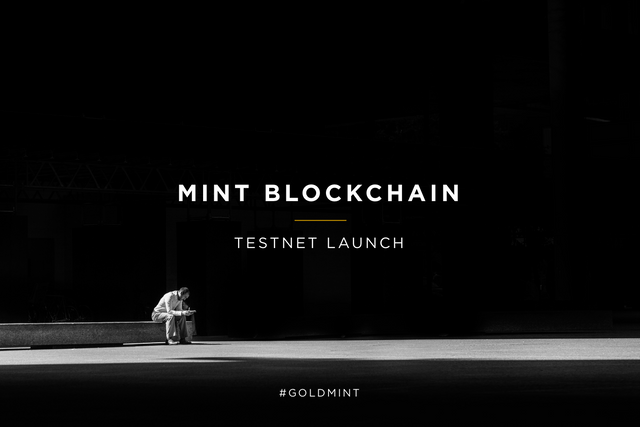 Don't forget about Mint blockchain testnet. Follow the instructions and receive your testnet address for Mint blockchain. Fill the application form with your freshly generated Mint blockchain wallet (don’t insert ETH address) and get your MNT testnet tokens. Nice new website. I see the progress in custody bot developing is 90%. When is the approximate date of release? THank you. Current Progress In Custody Bot Development. We are happy to announce that we plan to show you first Custody Bot next week! So that, follow our social networks and you will see everything first. And because Custody Bot is a unique device that doesn't have analogs in the world, we have initiated a patent protection procedure for it. Because it's not the speculation but serious blockchain platform with implementation to real business sector - pawnshop industry (on the first stage). People are not used to wait, they want just fast price growth, but we have the opposite situation. So if you understand the model - you'll stay with us because it will work. Here is just a small part of improvements and bug fixes in our blockchain for the last month. We want to thank everyone who took part in testnet and helped us to make our product better!